Hello there! Today I am very excited to be joining Simon Says Stamp for their Cold Hands, Warm Heart blog hop. If you are following the hop then you should have arrived here from the one of my favorites, Jennifer McGuire’s blog. This is a super duper fun winter release. I love products that make you smile and allow you to make cards that make others smile. 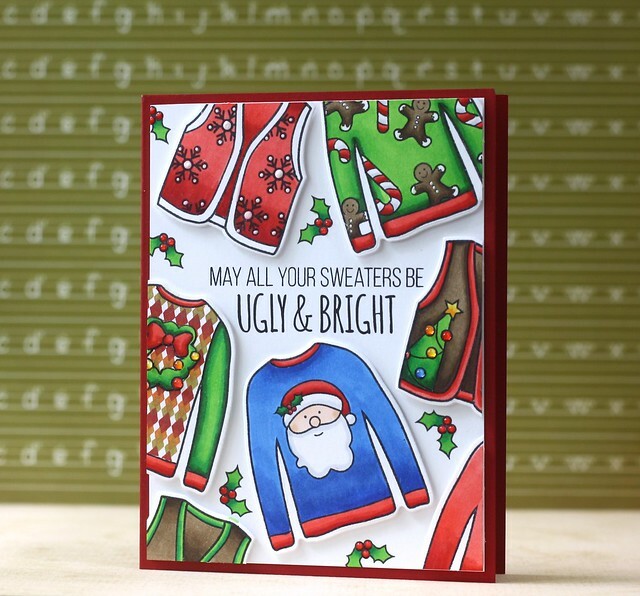 This new Ugly Sweater stamp set is absolutely hilarious. I’m not sure what’s better, the images or the sentiments. They both just make me laugh.